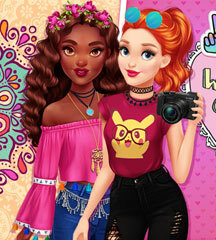 These two beautiful girls are getting ready for a fashion competition. They can't afford to make any mistakes, so they really need your help. 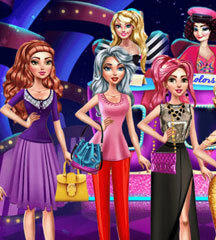 Will you make them look stunning in this dress up game? 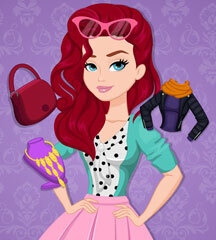 First, you should enter the dressing room and try different clothes and accessories. The girls will experiment with similar dresses and the judges can decide who wore it better! 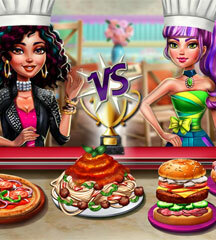 Do your best to choose a stylish look for both of these pretty girls! Then, you can see the winner at the end of the game. Of course, you can play again for different results!